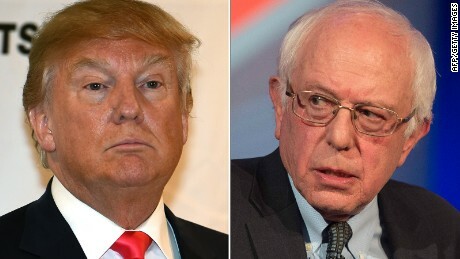 Donald Trump of the Republican Party and Bernie Sanders of the democratic Party both won their parties primary elections in New Hampshire on Tuesday. ​ Sanders got over 59.1 percent of the votes, while Hillary Clinton got 38.3 percent. Trump got about 34 percent of the total votes, while John Kasich who came second got 16 percent of the votes. ​ Ted Cruz, who won his party's election in Iowa a week ago came third with 11.7 percent of the votes. Marco Rubio who came third in Iowa's Republican Party's election, and whom analysts had said may pull surprises in New Hampshire, came fifth in the granite state. The CNN dubbs the winners as outsiders, and the losers are manifestly the establishment candidates.